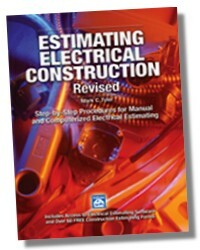 Step-by-Step Procedures for Manual and Computerized Electrical Estimating. Explains how to create a reliable estimate for Residential, Commercial or Light Industrial Construction - from essential preliminaries to submitting the final Bid. Every aspect of Electrical Estimating is covered - from plan take-off, to labor units, to material pricing, to assembly of the bid summary. Includes practical examples and sample forms to use on your jobs. Like taking a class in how to estimate materials and labor for residential and commercial electrical construction. The original version was by an A.S.P.E. 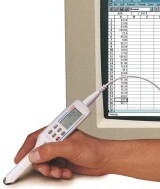 National Estimator of the Year, using the traditional estimator’s tools – pencil, paper and calculator. 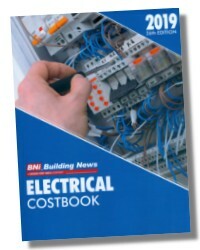 This brand new edition, revised and updated by the senior estimator of a large electrical contracting firm, adds automation to the process. 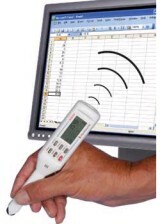 Here, an electronic measuring device with PC interface delivers the materials data into estimating software, which uses an up-to-date database of thousands of materials, labor and equipment costs to arrive in minutes at an error-free and reliable cost estimate. Teaches how to do a plan take-off, deal with suppliers, modify labor units to suit, and write the bid summary to prepare an accurate estimate, both manually and electronically. Provides access to the software, plus over 60 free construction estimating forms. A complete estimate for a commercial building is included, starting with the scope of work, the materials and equipment to use, installation requirements and a complete set of plans for the electrical system. 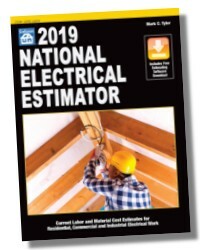 Worksheets, pricing sheets, the bid summary sheet, telephoned quotations andthe spreadsheets are all provided so you can compare your work with what an experienced professional electrical estimator would do. 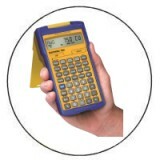 What Does it Take to Be an Electrical Estimator? Order online: Add the item(s) to your shopping cart and submit your order online through an encrypted secure server. Major Credit Cards and PayPal are accepted. Order offline: Print an offline order form and Mail or Fax your order to us.